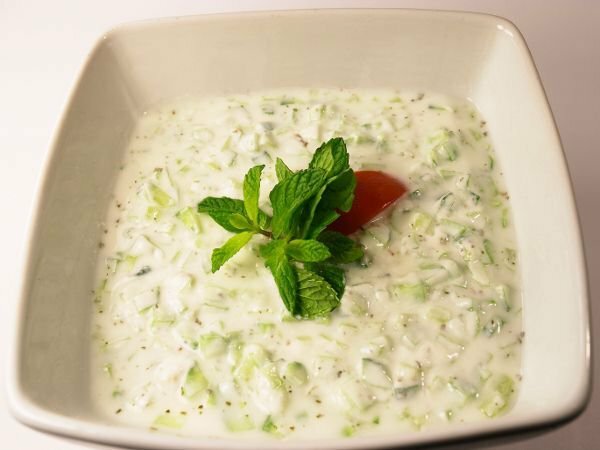 Mix the yogurt and the cucumber. Puree the ginger and garlic and mix. Heat cumin seeds in a dry saucepan until they smoke, then reduce to a powder with the peppercorns and salt. Add to the raita. Hint : If u r like me and like some sweet taste, then add a spoon of powdered sugar and raisins !!! This entry was posted in Salads, Vegetables by Kamakshi. Bookmark the permalink.